“There is no doubt that this is a testing time for global trade. Trade growth has been persistently low, though we are beginning to see some more positive signs. While protectionism has been kept at bay since the financial crisis, we must remain vigilant. And in a time of rapid economic change, driven by technology, we have the challenge of ensuring that trade continues to be a positive force for job creation, growth and development around the world. “The WTO must continue to meet these challenges head on. We must continue our work to boost growth and development, and to improve all aspects of the trading system – from monitoring and technical assistance, to dispute settlement and negotiations. When ministers come together in Buenos Aires in December for our 11th WTO Ministerial Conference, they will have an opportunity to advance these efforts. I am working with members in Geneva and in capitals to ensure that the Conference is a success, and that we leave Buenos Aires with members committed to the trading system and with a clear direction for our future work, to the benefit of all. 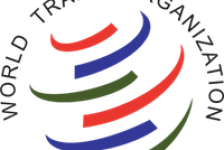 “Thanks to the efforts of all members, the WTO is stronger today than it was in 2013. We have built a record of negotiating success at the last two Ministerial Conferences in Bali and Nairobi. At the multilateral level, these breakthroughs include the Trade Facilitation Agreement, the agreement to eliminate agricultural export subsidies, and a series of steps to support our least-developed members. At the plurilateral level, a group of members struck a deal to expand the Information Technology Agreement, thereby eliminating tariffs on a wide-range of IT products. This run of agreements is unprecedented in the history of the WTO. In addition, we have made real progress in improving the Organization’s performance in other key areas, such as dispute settlement. We should aim to build on the significant progress that we have made. I believe that we can do much more – particularly for the smaller players and those who feel cut off from the economic benefits of trade. We must build a more inclusive trading system. 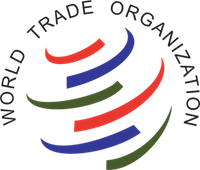 Roberto Azevêdo was appointed to serve a second four-year term as Director-General by a consensus decision of all WTO members, taken at a meeting of the General Council on 28 February 2017. DG Azevêdo made a detailed presentation to members at that time, outlining the successes that the membership achieved since 2013 and his vision for the next four years. His presentation is available here.